As Tunisia Weighs Women's Rights Proposal, Some Of The Staunchest Opponents Are Women : Parallels Tunisia's president is pushing for his country to become the first in the Arab world to ensure equality between men and women in inheritance laws. Currently, a man's share equals that of two women. Tunisian women gather to celebrate Women's Day on Aug. 13 in Tunis. On the same day, the country's president announced the review of a law requiring that a man receive twice the share of an inheritance as a woman. 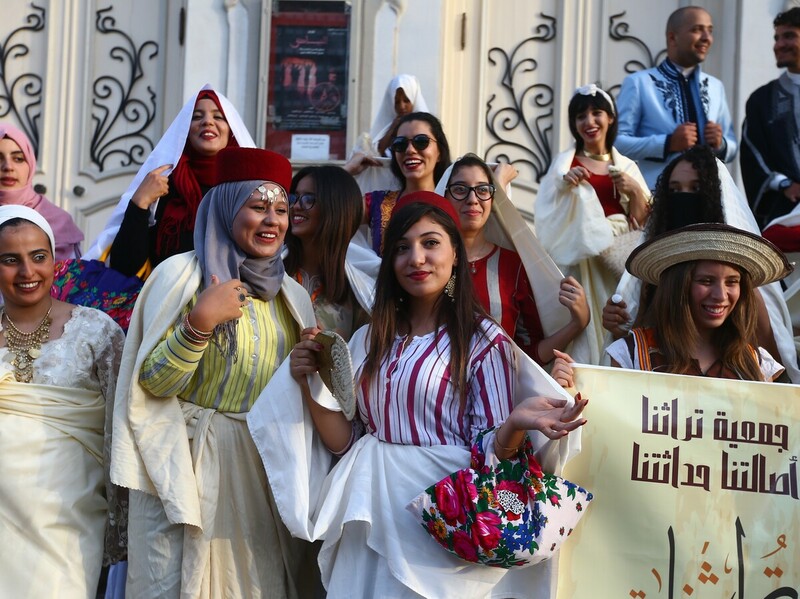 On National Women's Day in Tunisia, celebrated last Sunday, President Beji Caid Essebsi announced the review of a law that demands that a man receive twice the share of an inheritance as a woman. Changing this would put Tunisia at the forefront of a progressive revolution on an issue that affects many Muslim-majority countries. But Essebsi's announcement has been met with consternation — not least from many Tunisian women. Mona Ibrahim, the deputy leader of the country's conservative Ennahdha political party, says she has been inundated with phone calls by female constituents who fiercely oppose any change in the law. "I have spoken with so many women who feel strongly about this," she says. Tunisia is seen as leader for asserting women's rights in the region. It was the first country to scrap a law by which rapists could avoid punishment by marrying their victims (Jordan and now Lebanon have since followed suit). And last month, the parliament approved a law designed to help protect women against domestic violence. Asserting equality between genders in inheritance law might then seem like a logical next step. But in practice, it is far more controversial. That's because Tunisians on both sides of the argument agree this ultimately leads to a larger debate — about whether Tunisia should be run according to civil or religious laws. The current legal system is a combination of both. The 2014 Constitution ruled that while Islam is the religion of the country, Tunisia would be a civil state. But many disagree, and Islamic law influences rules like that for inheritance. 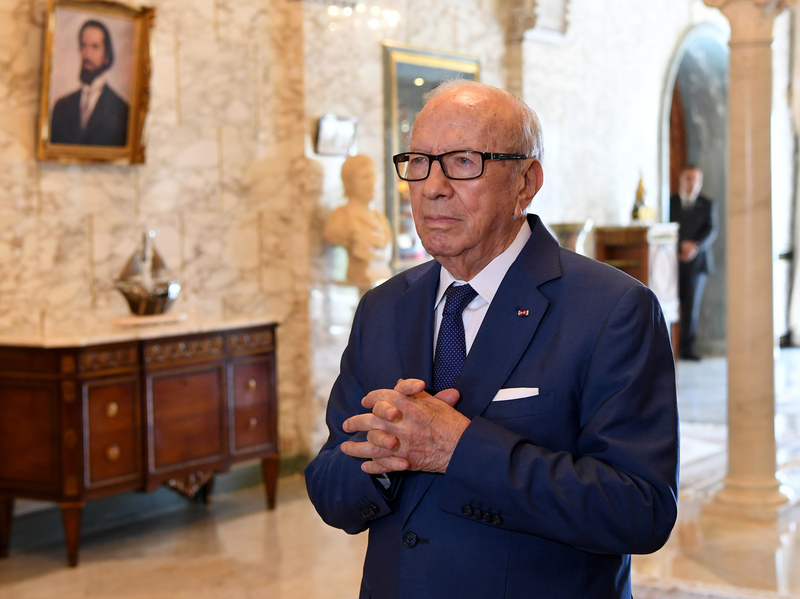 Some say Tunisian President Beji Caid Essebsi's decision to call for a review of the law is political. Many women voted for his secular Nidaa Tounes party expecting reforms, but they have been slow to come. This "goes to the heart of the Islamic religion," says Ibrahim, and ultimately "touches at the very identity of Tunisian society." The inheritance law is based on a passage in the Quran which requires that a man receive a share equal to the portions of two women. This is because, also according to scripture, the man is required to spend his earnings to care for his family. The woman, Ibrahim says, is not. She says some Tunisian men are now arguing that if there is equality in the inheritance law, then their legal requirements to support their families also needs to change. Many Muslim women oppose the change because they see it as something that goes against their religion. But for Wafa Ben-Hassine, a Tunis-based rights activist, this is exactly the sort of social change that's necessary. "I don't think that that kind of an argument has a place in a civil state. To have a letter of the Holy Book guide a state is not recommended in any country," she says. She says she is not against those who wish to follow religious-based guidance for their inheritance law, but this should not be "the default" of Tunisian law. Selma Mabrouk, a secular former politician with the Ettakatol party, says fear of change "must not hold Tunisia back." The inheritance law is one of the main issues that divides families in Tunisia, she says. It causes bitter rivalries between siblings. Parents will sometimes leave their inheritance to a male relative, expecting that he will care for the family. But in some cases, this does not happen and the women are left destitute. And she says the current law is outdated. "We are not in the 18th century," she says. "We must progress." Women made up 27 percent of the labor force in Tunisia last year, according to the World Bank. (In the United States, it was 45.8 per cent). Many work in high-powered jobs in medicine and the law. Girls have high graduation rates. Even so, the inheritance law remains a taboo subject that few feel comfortable enough to directly address. Ben-Hassine, the rights activist, was a legislative aide on a Constituent Assembly in the heady days after the country's 2011 revolution. Tunisians came to these forums to debate articles of the constitution and discuss what sort of country they wanted theirs to be. "People were willing to talk about everything," Ben-Hassine recalls. "They discussed every issue." Except, that is, for the inheritance law. "When it came to the inheritance law," she says, "people would say, 'Let's leave that for another day.' "
Several years on, Ibrahim, the conservative politician, believes the country is still not ready to tackle the subject, and argues there are many other, more pressing matters — the economy for example — to deal with. Monica Marks, an Oxford Ph.D. candidate and Tunisia expert, says she believes the timing of 90-year-old President Essebsi's decision to call for a review of the law is political. She says many women voted for his secular Nidaa Tounes party expecting reforms. But they have been slow to come. "Many people have been asking, 'Where's the beef?'" she says. The first step in changing the inheritance law will be to form a committee to consider the change. The process could take years. But Radwan Masmoudi, the president of the Center of the Study of Islam and Democracy, a Washington, D.C.-based think tank, says a slow pace is exactly what Tunisia needs in changing longstanding laws like this. "Many people think the argument is against Islam and the Quran," he says. "That's why we have to have a genuine debate. It has to be done through consensus and consultation to show [opponents] that is not the case." He says many of Tunisia's religious conservatives would find it anti-democratic for the government to impose this change to the inheritance law. He warns it could divide Tunisian society. Instead, he says, "We have to convince society that this is right for its future."